In 2017 a merge and rebrand left AWIN in the position where they no longer felt that their office represented them. 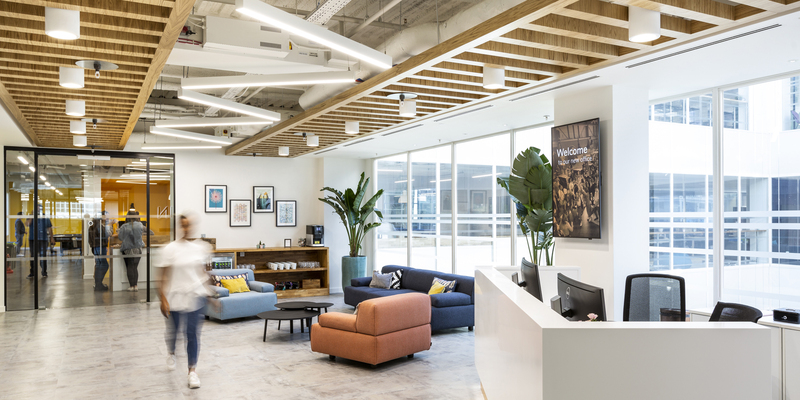 In addition to this, they needed to maximise their space in the best way possible due to an ever-increasing headcount as a result of the company’s growth and success. 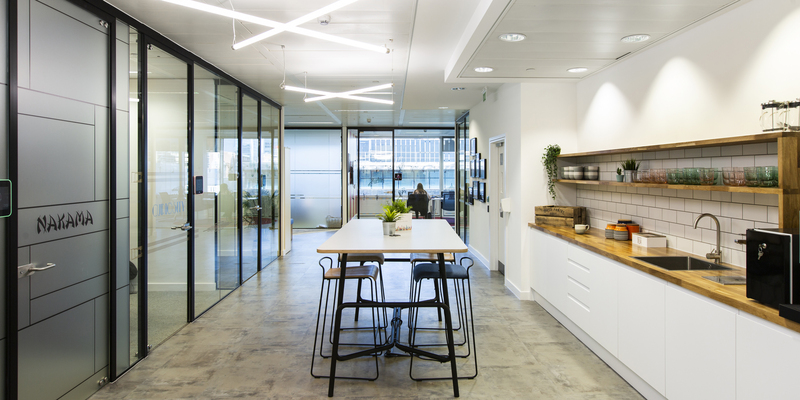 ThirdWay were appointed to create a flexible, adaptable and comfortable working environment with a heavy focus on a design that would promote their employee’s workplace wellbeing. 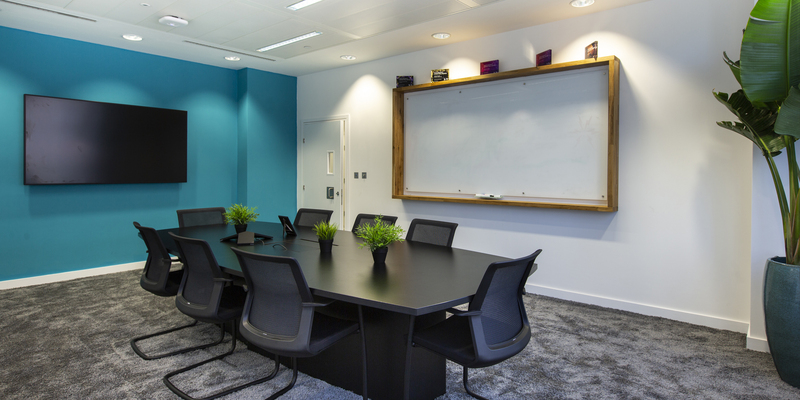 Agility and collaborative working were also key factors as the client wanted the environment to encourage innovative and creative thinking amongst employees. 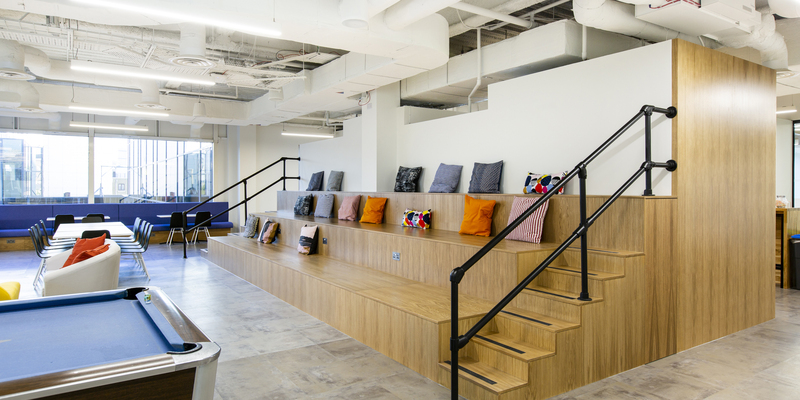 A large breakout area with a bespoke bleacher was designed to enable employees to break away from their desk environment; this space also hosts company meetings and other events such as comedy nights. 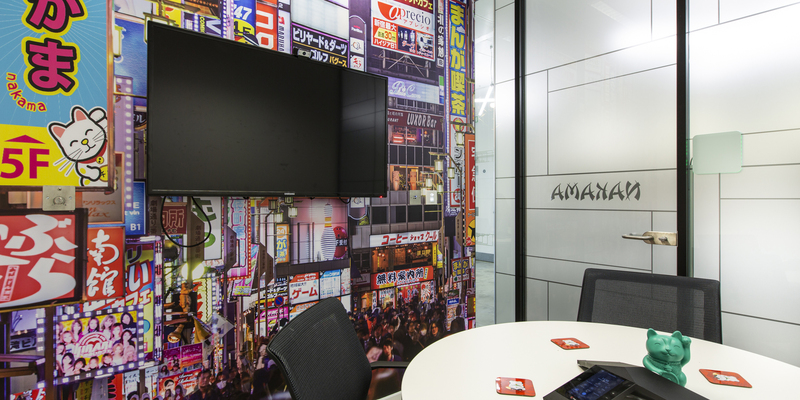 A games room, bar and ‘zen’ themed room were also introduced to allow employees to enjoy some downtime. There were many aspects to the design that reflected the company’s unique personality. The biggest talking points are the meeting rooms which were nostalgically designed to reflect previous AWIN gala events. Their annual galas are heavily themed and as such the meeting rooms include 1920s, circus and vintage cinema scenes. 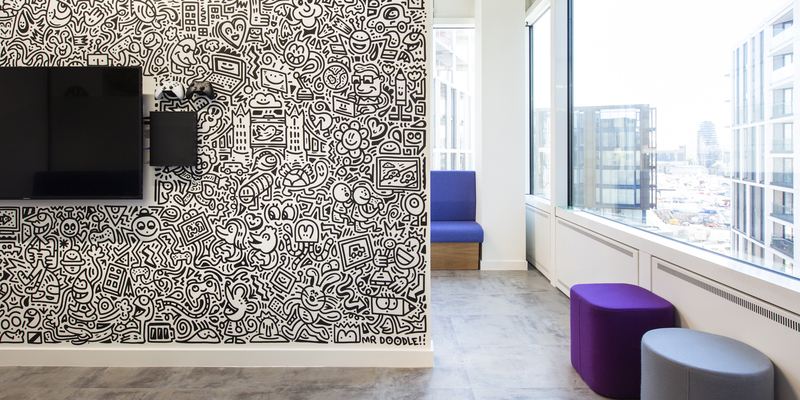 A neighbourhood concept was introduced within the open-plan desking areas, with each neighbourhood promoting one of the AWIN brand colours which were then painted on the nearby columns and used throughout the carpet to designate each zone. Key features: Large breakout area, pool table, bleacher, bar, gaming room, themed meeting rooms, meeting booths.